Department Head of Group Support in the Environment & Social Responsibility Division of PT. Astra International, Tbk. 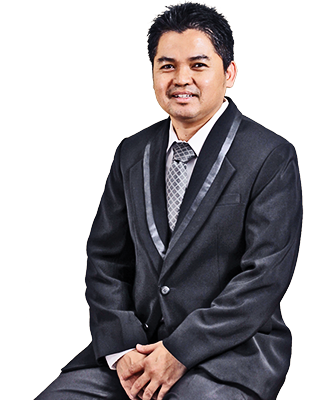 Beny Priyatna Kusumah is a seasoned professional with over 20 years of experience in the fields of Corporate Social Responsibility (CSR) and Environmental, Health, Safety (EHS). For 5 years, he acted as a team leader of the Environment & Social Responsibility Division of PT. Astra International, one of Indonesia’s giant conglomerates with over 7 business lines and over 190 affiliated Companies. He led various teams, ranging from CSR, EHS, and Green Laboratory projects and managements. Currently he is the head of Group Support Department in the Environment & Social Responsibility Division of PT. Astra International, responsible for supporting all of Affiliated Companies under PT. Astra International on EHS and CSR activities. He is also responsible on the development, deployment, assessment, and evaluation of PT Astra International EHS and CSR Corporate Policies to the affiliated companies. Before his tenure in PT. Astra International, he spent 5 years as a Department Head and 5 years as a Project Leader at PT Pamapersada Nusantara, one of the largest mining contractors in Indonesia, making a total of 15 years experience as a leader in the area of Environment, Health, Safety, and Corporate Social Responsibility.